Since painting is a very visual thing, I feel there are multiple ways to learn how to paint landscapes, and any other subject, that work together to bring the artist in you, out. Each one incorporates visual input. As a self-taught artist, the best way I learned was through video presentations, so I could actually see the artist in motion. If I didn't understand something, I could rewind it and look at it again...and again...and again, until I got it. Of course, I also used books, mini classes and lots of experimentation on my own. I like to work from photographs. The main reason is that I can capture the lighting, clouds and shadows when they are just perfect for what I want. 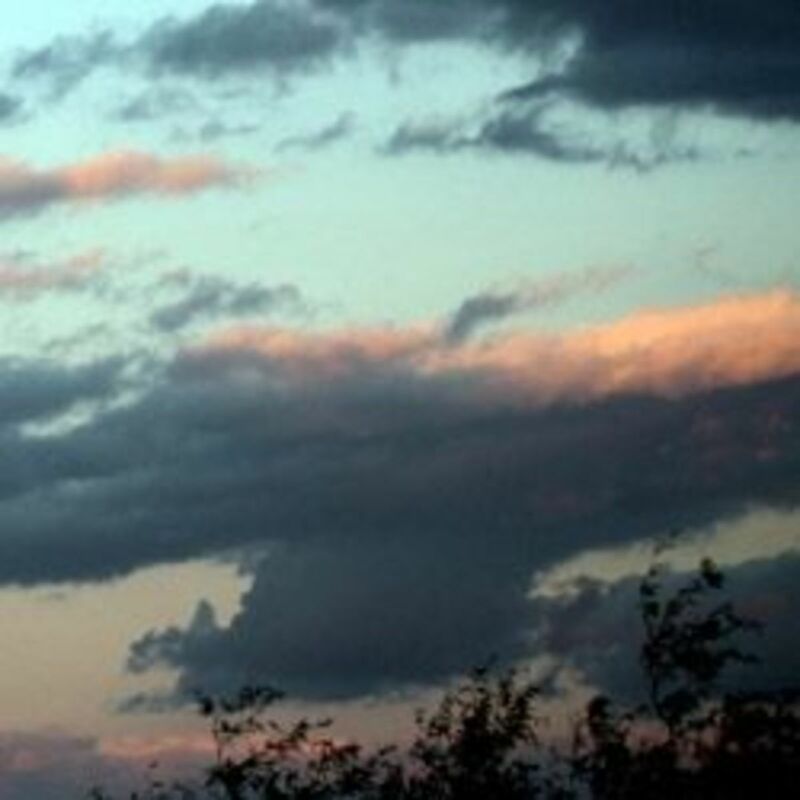 If I don't get the picture, a minute later it is gone and I can't remember exactly how it looked when it caught my eye. For this winter scene, I followed the photo pretty closely except that it was a gray sky which I didn't find very interesting, so I added the pink reflections in the water and carried them through into the snow. Since snow is reflective because of all the ice crystals, it would make sense that the pink of the sky would not only show in the water (or ice), but also in the snow. This is an important concept to keep in mind as you are painting your landscape. First of all you want to be sure to carry a color from one area of the painting to another, much like I did with the pink. It pulls the painting together. if you could see the sky in this painting, you can be sure I would have had some pink in it. The other thing you want to realize is that photographs and real life don't always visibly show all the colors that are really there. You have to have the imagination to perceive them in your mind's eye. I bet if you squint your eyes when you study something you will see some of the other colors. Try not to copy the landscape photo exactly. Identify areas of interest and position them to your advantage in the composition. 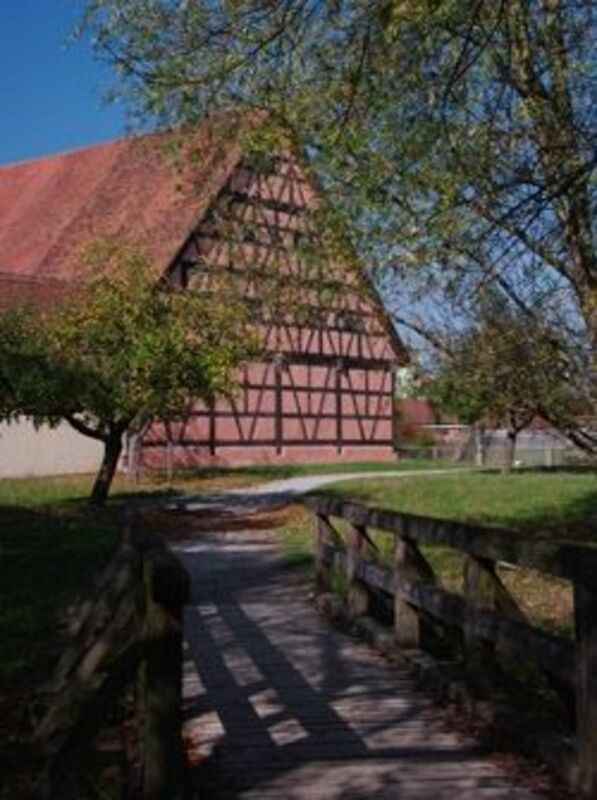 Crop the photo to help you focus on what you are looking to put into the painting. Eliminate unnecessary clutter. Identify abstract shapes which would add to the unity of the painting. For example, create a grouping of trees of different heights and widths, into one abstract shape. Normally we tend to paint each tree individually which detracts from the easy visual flow of the onlooker. I use my camera and photographs to frame in my potential landscape. 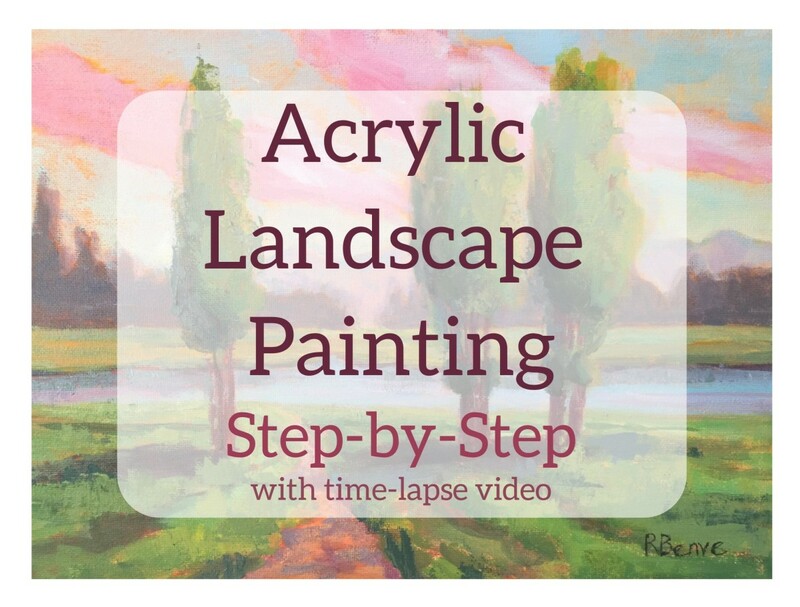 If you are a person that prefers plein air painting, there are others ways to frame in your scene to get a good feel for what you want to paint. Some people carry a cut out rectangle (a cut out mat board works well) so they can move it around the view until they see the composition they want to paint. Of course the old alternative is to just frame it in with your thumbs and forefingers. Doing either of these things will help you visualize how you want to place things in your painting. Is the sky the main focus as in my photograph of storm clouds? Place the horizon low on the canvas. 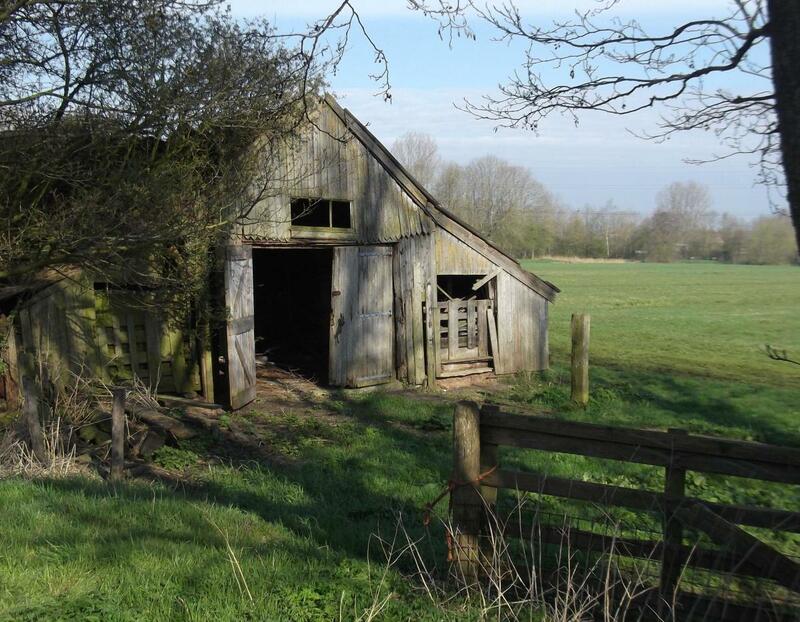 Is the barn the main focus in this photograph? Place the horizon high on the canvas. Is there a balance of interest as in this photo? Place the horizon just below or just above the middle. These are all decisions you can make before you start the painting by framing in the landscape mechanically until you see exactly what you feel is the best composition. This is actually what I do with my photography. I'm so thankful that they invented digital cameras. Before then, I would take 24 pictures, get them developed and then throw 60% of them away as unacceptable. At least doing plein aire painting, you didn't have to wait for the photos to developed. You just started painting as soon a you were satisfied with what you saw. 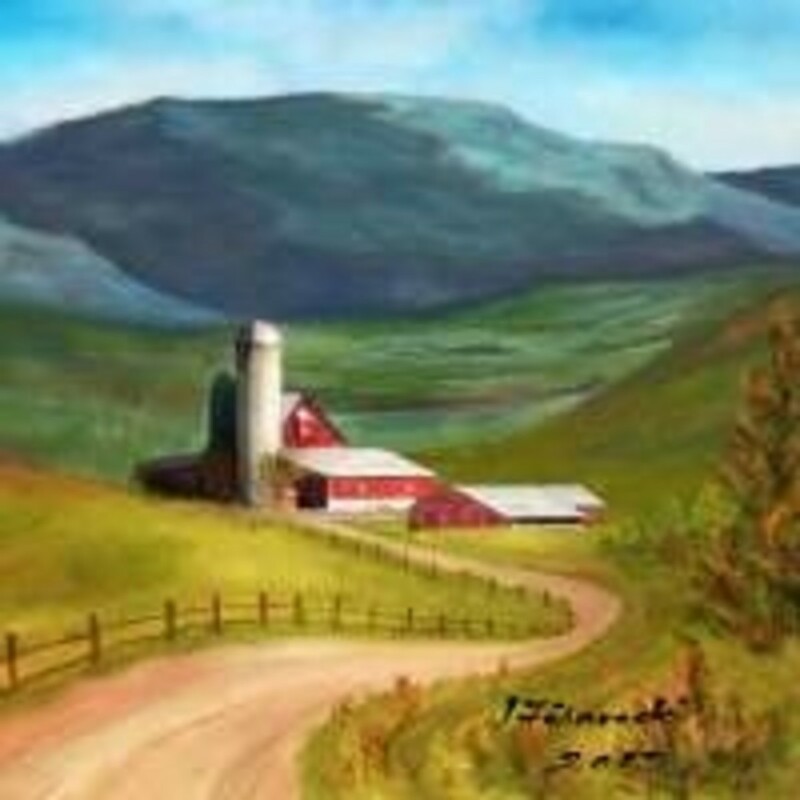 Once you have framed in your reference photo or sketched, you want to start applying techniques that will draw the viewer's eyes to the focal point of the landscape. Sometimes there is only one point and other times there are several points. They say that everything is not all black and white, and this is true throughout nature. Look at the sky, and you at first see blue and white. Focus a little more on it, and you may see pinks, ochre, grays, and different shades of blue. 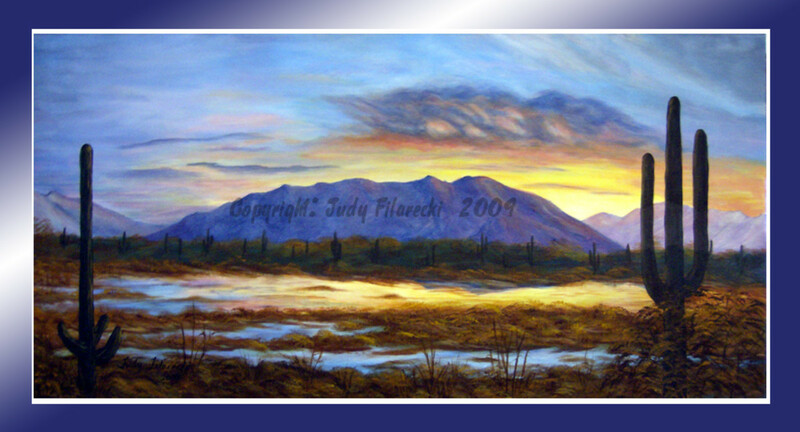 In this painting of the sunrise over the Catalina Mountains, you see yellows, oranges, purples, pinks, grays, blues and whites. Actually, these were all in the photos I took. Even in real life those same colors were very visible, but this is usually the case at sunrise and sunset. This painting is a composite of several photos I took. I decided the foreground would be very boring if I left it dark like it was in the photograph. What did I do? I took pictures of water in another place, moved it into the foreground of my painting and then created the reflections to carry the colors down from the sky into the water in front of the mountain. Sometimes you wish things were black and white and varying shades in between,when trying to group color values together, or to get the right value. 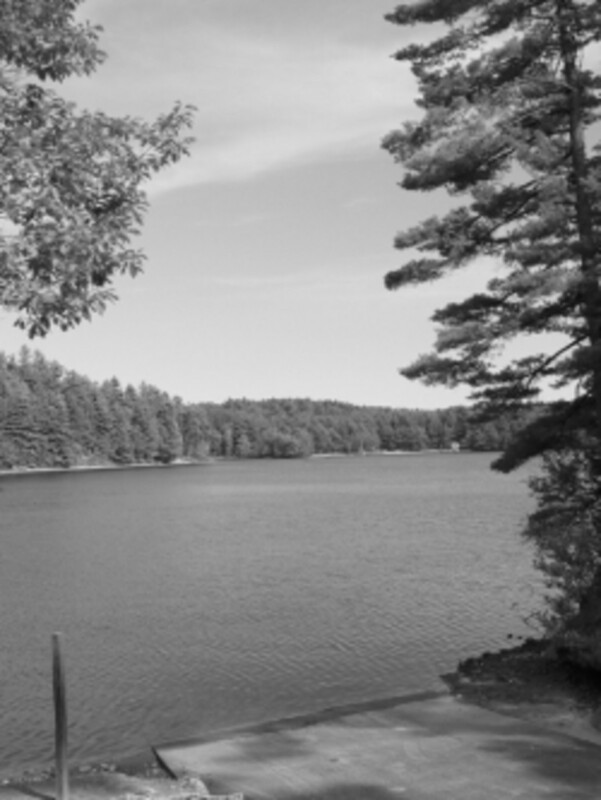 Converting your photo to gray scale in a photo editing program on the computer, can help you visualize the values much more easily. Out in the field, or if you don't have a photo editing program, using a red transparent film over the area, will de-saturate the view and make it easier to identify values. This past several years I have been doing a lot of painting on the computer using Corel Painter. It has given me a new freedom of expression which I am really happy about. My goal has been to get less photographic, use looser brush strokes and be more creative in the composition of my landscapes. I feel that I am well on my way to achieving this but there is always more to learn. 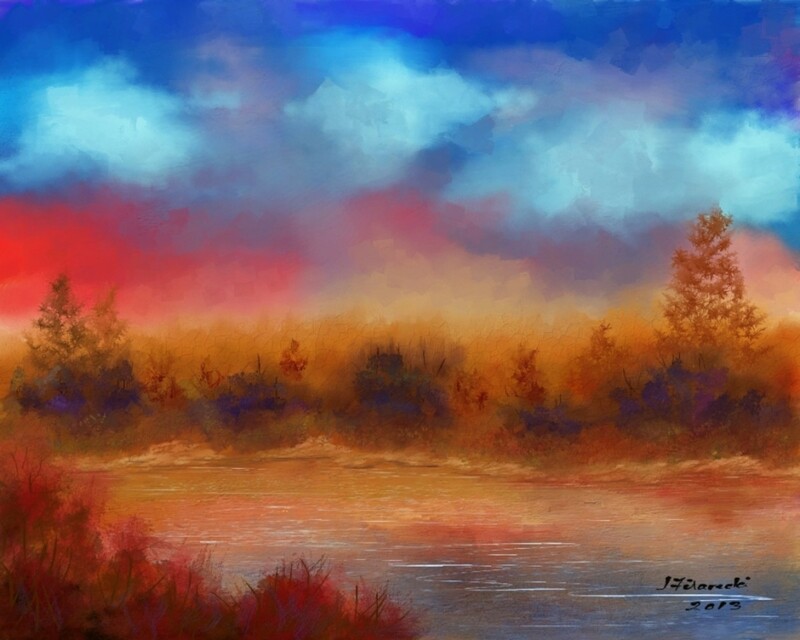 This painting started out as an abstract by laying down colors that later became a sky on fire reflecting in the water. I had no pre-plan for this, it just happened. I gradually added land and then trees and clouds and water ripples and suddenly there was my completed landscape. There no photo references or preliminary sketches. It just evolved. This is definitely an exciting path for me and something I would encourage others to try. I have quite a few Hubs dealing with painting instruction. Here are just a few. Over the past year, I have been doing a lot of studying on how to improve my landscapes. Here are two I have written that you might find helpful. The first one deals with Using the Gray Scale and Tonal Values to plan and map out your painting. I take you step-by-step in how to go from your reference photo to the finished painting. You identify low, medium and high value areas and then group them to create interesting abstract shapes. Only identifying three values helps make the process much easier. The second hub is on Atmospherice Perspective. This is key to adding believable depth to your painting. Note how the mountains are cooler in color as well as the more distant trees. Also note the bluish haze over the base of the mountain and on the trees closest to it. 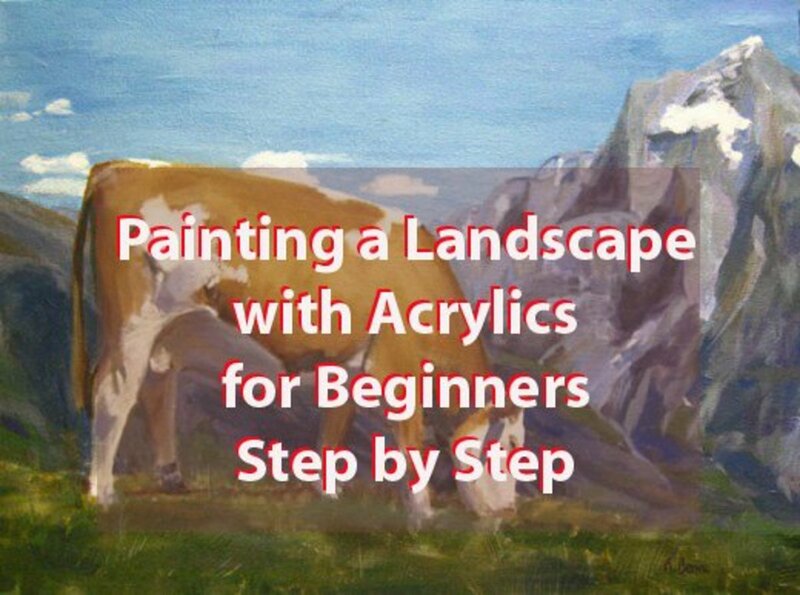 "Painting Better Landscapes" by Margaret Kessler, is an excellent book with step-by-step instructions on how to paint and improve your landscapes. It includes many questions you should ask yourself as you progress through your painting and provides lists to enable you to self-critique you work to make them even better. 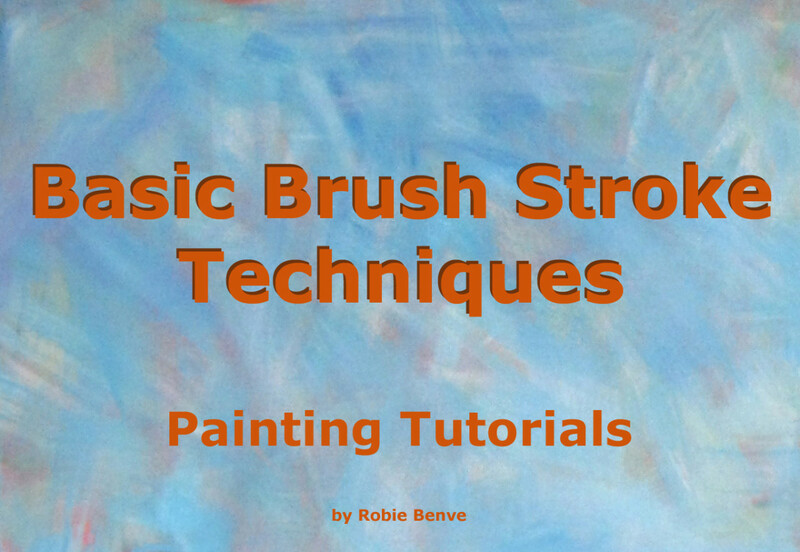 It is a valuable tool for beginning and experienced artists. The demonstrations are in oils, but most of the principles work for any media. I recently acquired an excellent reference book, "Your Artist's Brain," for my art library. It is not only valuable for painting landscapes from photos or plein air, but also in understanding what you are seeing as you prepare to draw and paint any object. Carl Purcell also has two other books which focus on drawing and painting separately. No matter which one you pick, his books a filled with a wealth of information. This is another book I like as a reference by Margaret Kessler. 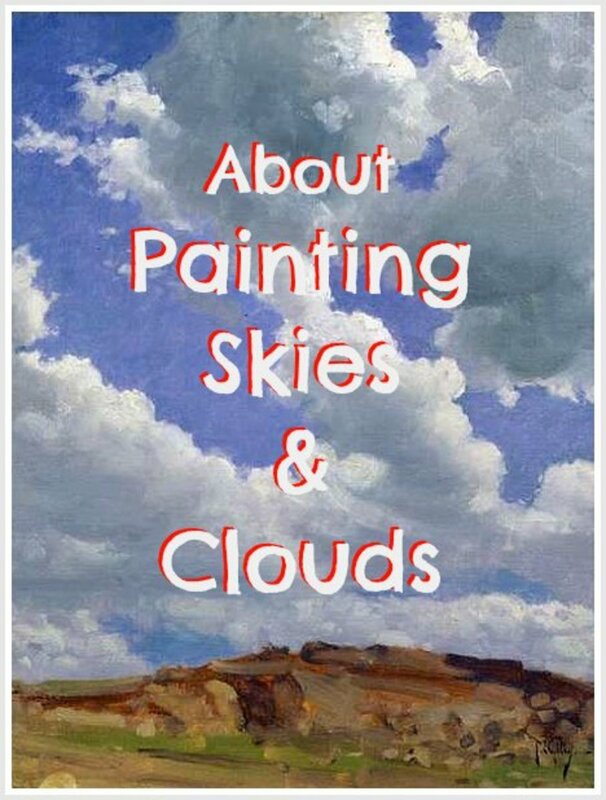 This one is a book on color harmony which looks at color schemes, atmospheric effects on color and many more aspects making it a great reference book for beginners and more experienced artists. I have shown you things about being successful in painting your landscapes and you have seen some of my work, I'd like to share my pathway through the learning process which brought me to this point. I hope I don't bore you too much with my reminiscing, but there were some pretty neat things and people that brought me to this point. My first experience with painting, or maybe I should say drawing, was when we got our first television, around 1950. My favorite show was John Gnagy teaching you how to draw. How exciting was that? You could watch him for a half hour and come up with an acceptable drawing. You learned to draw landscapes, animals, people, and whatever else, using the basic shapes, circles, squares, triangles and cones. My parents saw my enthusiasm and bought one of his illustrated books for me, so I could practice what he was teaching. Would you believe it! A friend of mine found old recordings of his shows on YouTube. Boy did that bring back memories. Here is one of them to watch. There are several more to choose from if you go on YouTube. He also has a lot of good tips you might want to pay attention to. Jon always made it look so easy, but he introduced you to the concept of perspective and values. He also gave you a chance to develop your sketching skills. At the time I didn't realize it, but it was teaching me how varying the darkness and lightness of the colors was what gave everything shape and depth. It also helped me develop the concept of distance in a landscape; things fading in the distance so to speak, and getting smaller. I guess in my list of visual learning things, this would fall into Live Workshops. I just had to depend on myself to be the instructor, along with the numbers that gave me a clue as to what to use. This painting, by the way, was not Paint By Numbers. 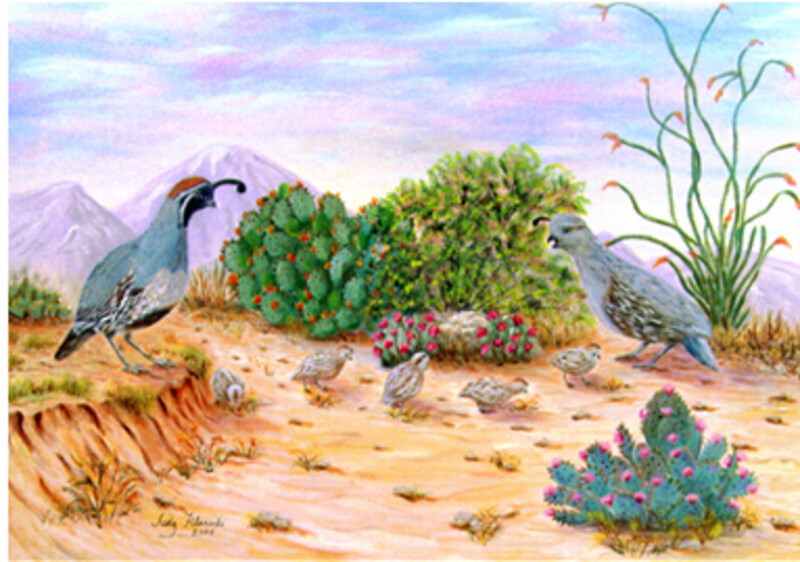 I did through a combination of photos I took of the quail, plein aire painting of vegetation around my home and the mountains surround the area. Uses acrylic paints for easy cleanup. I love these kits. I have given both of my grandchildren different ones when they were younger, and they really enjoyed them. It's a great way to start if you have never painted before. Also great for Adults. I've painted most of my life, but took a little detour for 40 years to be a physical therapist. Any chance I got, I looked at art book that were teaching skills, My life was just too busy at the time, but I can remember thinking, "WOW!" so that's how they do it. Someday, I'm going to try that. I did take one year off from work when my son was born, and I took advantage of nap time to paint with acrylics. I got some good illustrated books and started teaching myself about acrylics. At one point I had a chance to take a live workshop in the adult ed program at the university in town. It helped me understand more about the characteristics of acrylics. My only downfall was that the subject of the class was painting a human model. For some reason, I just couldn't get the face or the body of that poor women to even closely resemble reality. It must have been the acrylics!! 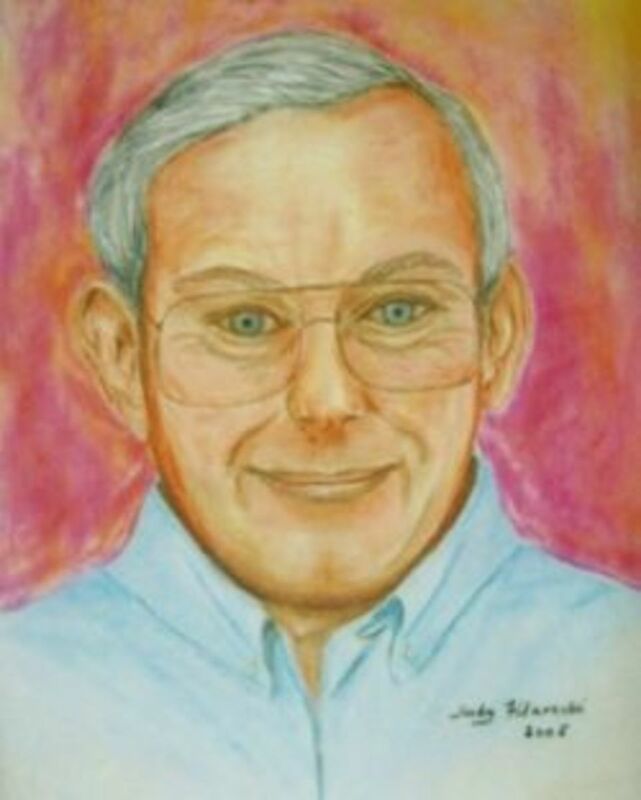 Years later I painted a portrait of my husband who had just recently passed away, and I totally accomplished catching every glimmer of life I remembered in him. I used soft pastel pencils on velour paper for that. It was as simple as putting in the shadows and the face magically appeared. During that same year I had off, I had a neighbor who painted with oils. She started teaching me about oils because she felt that true art could not be done in acrylics. The only problem was, she scared me so much about having to understand oils, drying times, what can go over what, and so many technical things, that I decided to stick with my acrylics. Thank God for PBS. Suddenly there were all these great painting shows on several times a week. I could usually catch one of them on a weekend, or record shows during the week. My favorite, of course, was Bob Ross. His specialty was teaching you how to paint landscapes. It was then that I learned to use Oils. I didn't need to know all that technical stuff. He could do a painting in a half hour and put wet paint over wet paint and used it to his advantage. I just looked up on YouTube to see what I could find on him, and most clips were spoofs of him. He is still seen on many PBS stations locally and I learn something new every time I watch him. In 1998, I got a chance to take a pastel course given by the Parks Department at our community center. I was semi-retired so I had more time to enjoy painting. I had never worked with pastels, but the teacher introduced me to pastel pencils. I had always wanted a paint brush that would keep a point, because I was such a detail person. Here suddenly was an art tool that fulfilled my wish. 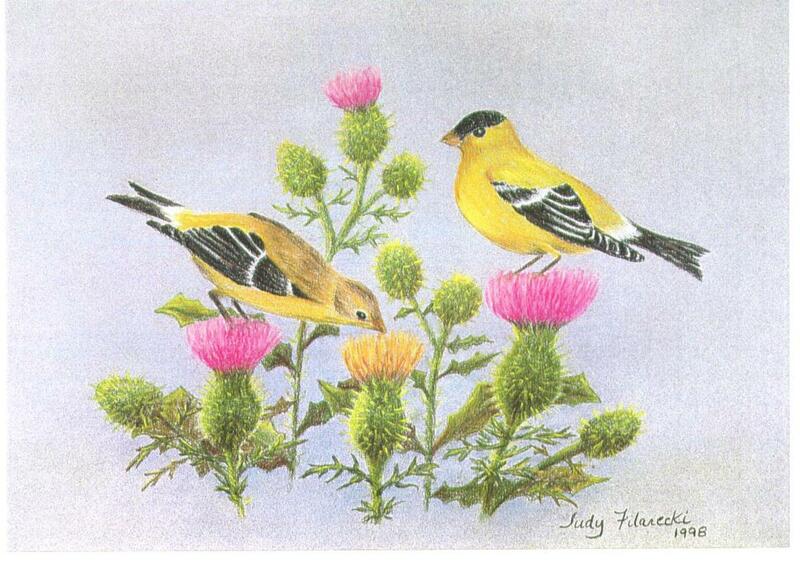 One of my first paintings using these pencils was this one of a pair of Goldfinches. Now I paint and sell prints of my work. (I hate to give up the originals. They are all on my walls) I teach art to a really fun group of people and write about my art and other topics for HubPages. 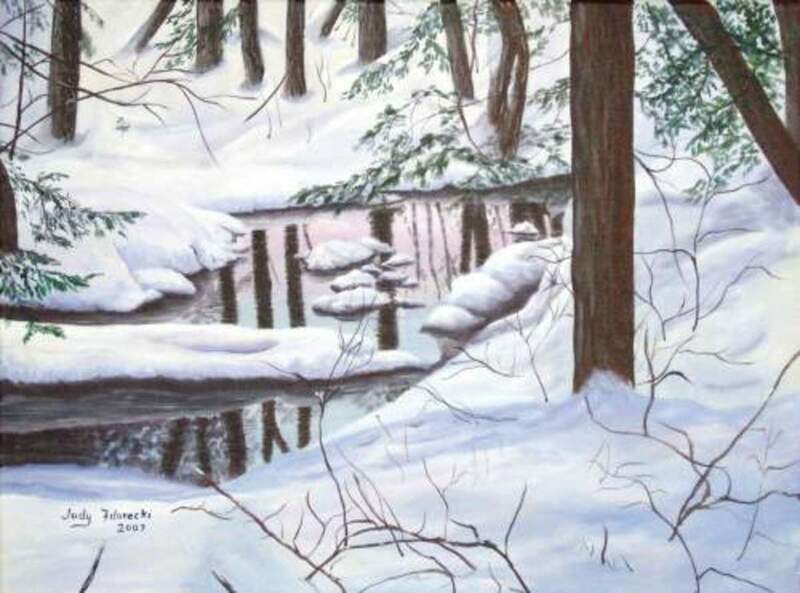 I'm also very active in a forum for artists using Water-Soluble Oils. These days I tend to write and have lost the interest in painting for a while. You are very talented and your videos are wonderful. Great work, well done. I spend most of my time, when painting, on landscapes. 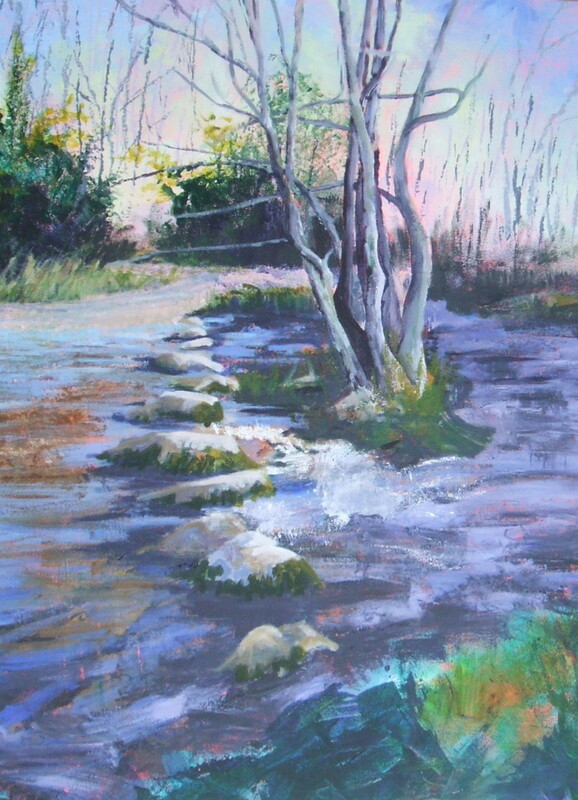 I paint mostly in pastels these days and love very loose, impressionistic styles. there are some useful general tip in this lens. Amazing talent and great lens! I love your work. Liked, Pinned and bookmarked. Thanks for sharing your talent and techniques. @maryLuu: It gets easier with practice, but each painting presents its own challenges. amazing painting, inspiring...very talented...nice tips of taking a photo first then paint...thanks for the share. I always admire people who can draw very well. You are so talented. thanks for your useful tips. the vids are really informative. I surely agree that photographs are good reference when making such painting like these! Thank you for sharing! I'll have to show my friend this lens: she recently started watching video tutorials online to help improve her painting skills. I'm sure she'll find these incredibly useful too. :) Thank you! 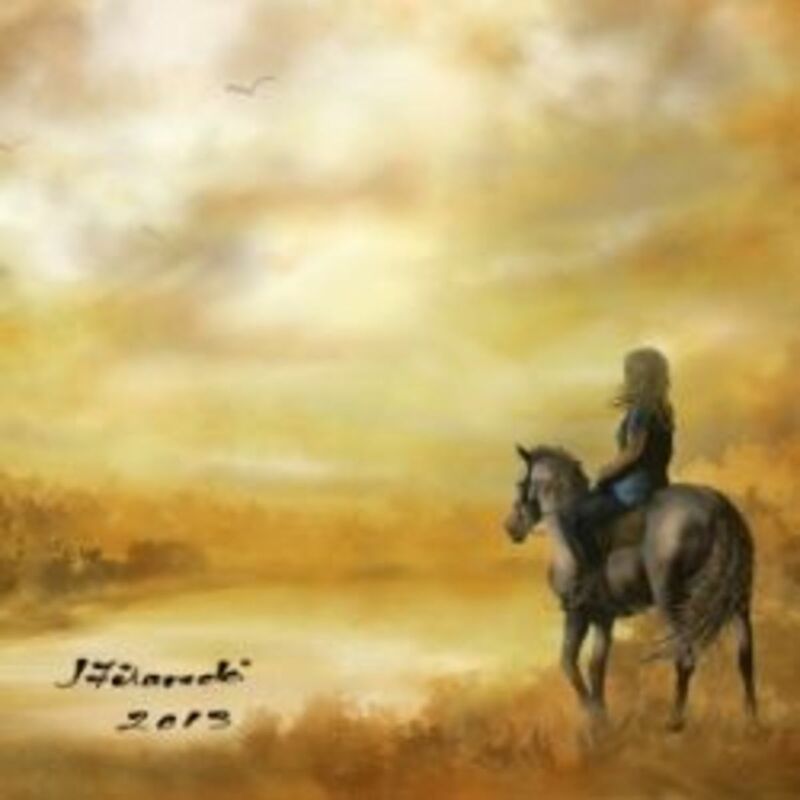 @jgelien: I still have some of the early paintings I did for my parents. I can't believe how much they taught me about. Lots of fond memories in this lens. I'm glad you appreciated them. Boy, did Paint by Numbers bring back memories! Love your lens and the great videos. Another very helpful and interesting Lens. I love al these videos! 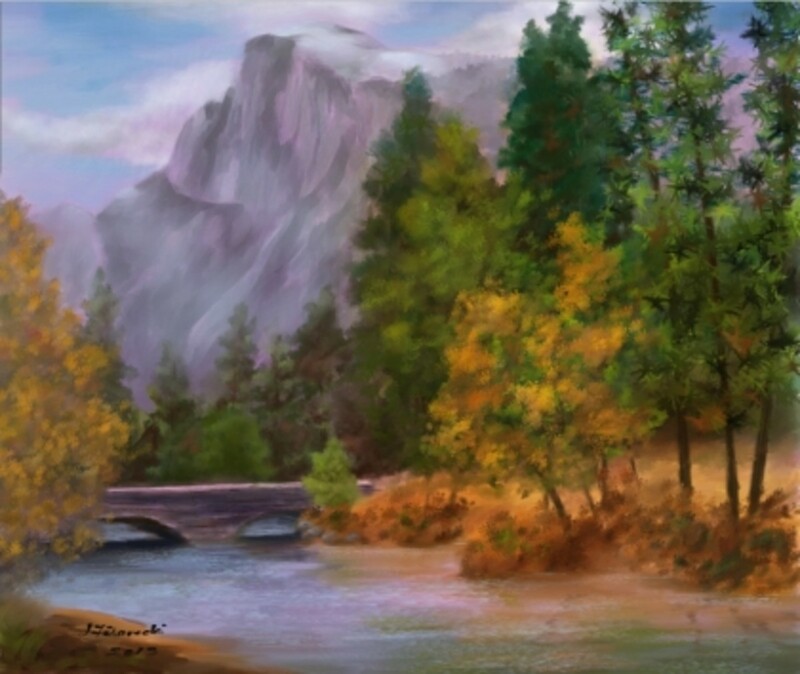 I used to love watching Bob Ross knock out a pretty decent painting in 30 minutes (the show is no longer broadcast here.) I can see that your work is considerably more detailed, although I suppose you use some of the same techniques as a foundation.